Anne-Marie’s Individual Style Of Yoga Blends Three Distinct Forms And Traditions. Originally Studying Classical Hatha Yoga And Then Qualifying As A Sivananda Teacher, She Followed The Guru Disciple Tradition. 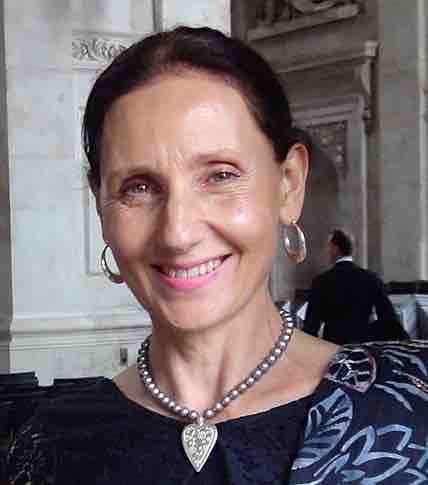 Most Of Anne-Marie’s Training Has Been In India And Canada With Swami Vishnu Devananda And His Senior Disciples. She Worked With Him At His Head Quarters In Val Morin Quebec Canada Before Embarking On Her Teacher Training In South India Back In 1984. 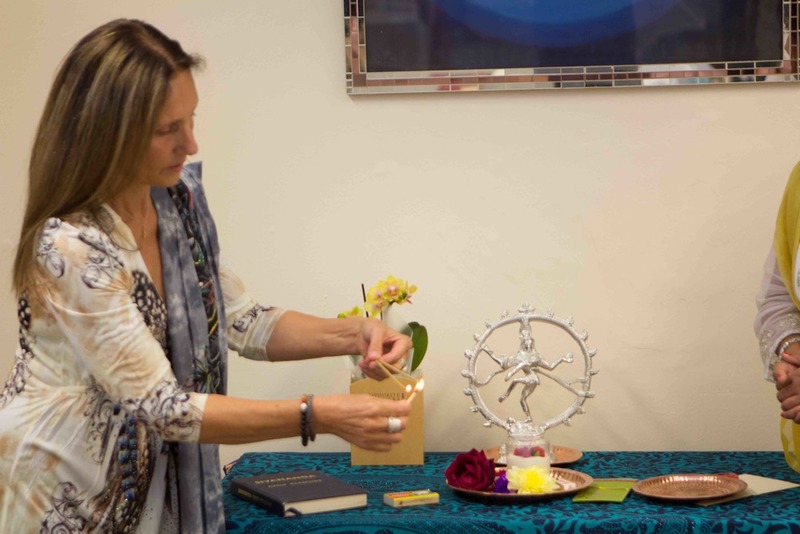 She Has Since Travelled the globe Teaching Wherever Possible, and offering her work As Her Karma Yoga. After Returning To The UK She Took The Path Of The ‘House Holder’. This Is When You Have A Family, Which You Endeavour To Raise In The Yoga Tradition. Four Beautiful Children Later And Her Yoga Had Developed Into The Field Of Sport, Dance And Teacher Training. Sport Is A Passion Because She Has Learned To Stand On The Sidelines Shouting For Her Sons And Daughters Teams! Falling In Love With Football Has Opened Her Career To Working With All Types Of Sports Persons And Personalities. As A Past Professional Ballet And Jazz Dancer Her Unique Blend Of Yoga Has A Certain Dance-Like Quality. It Was This Quality That Attracted Her To The Astanga Vinyasa Style Of Yoga, Its Constant Flow Of Movement Felt Familiar. She Went On To Study The Work Of Beryl Bender Birch, Baron Baptiste And Bryan Kest. There Was A Fresh And Contemporary Style That Anne-Marie Felt Was Like A Breath Of Something New And A Shift Into The 21st Century. It Was This New Dawn Of Inspiration That Led To Anne-Marie’s Sun Power Series. Based On All The Traditional Yoga’s She Had Learned And Added To Her Dance Background And New Input Her Own Practice On The Mat Grew Into A Contemporary Graceful Yoga We Now Know As Sun Power Yoga. Her Great Respect For Swami Sivananda’s Spiritual Teachings Are Evident In Her Use Of The Breath And Mind Focus. This Style Is Demanding,” Always Challenging And Never Boring” As One Critic Quoted! 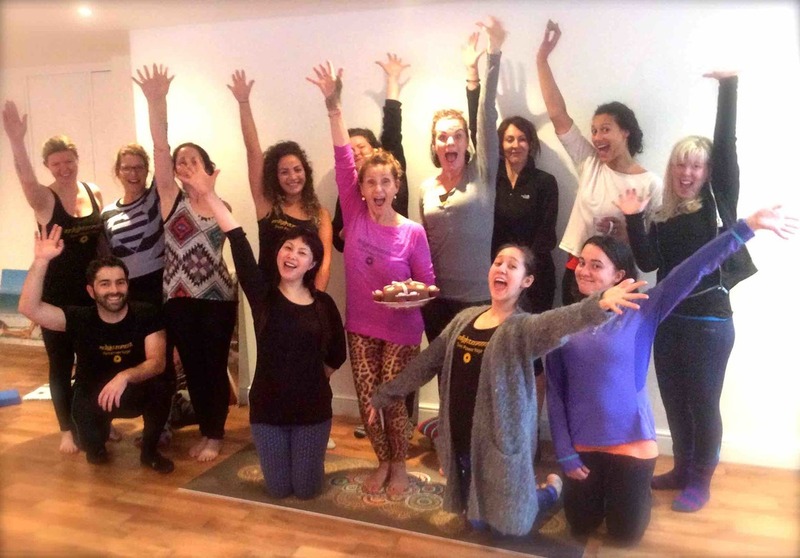 Anne-Marie’s Classes And Workshops Have A Reputation For Being Hard Work But Fun! She Demands Commitment And Sincerity. Her Work On “ The Breath As The Key To Yoga” Keeps Her Students Always Reminded That Without The Breath There Is No Yoga Only Gymnastics! Anne-Marie is a published author and her book Sun power yoga SHALA is a stunning work of over 600 pages. she Has Produced To Date 6 DVD’s. Two Have Been Out For Some Time. One Is A Special DVD For Teachers About How To Introduce Wheel Chair Users To A Regular Class and ‘Yoga For The Bigger Body’ © both include interviews. Her Yoga for Sport is one of her most popular. Yoga Divine is a practice for all levels and Imagine this is about posture. Anne-Marie Writes For Numerous Health, Fitness And Yoga Magazines And Is A Consultant To Sport And Dance. Her Past Life As A Punk Rock Drummer And Fashion Designer Has Taken Her To Speak On The Radio And TV About Life Changing Moments And The Practice Of Yoga. As An Anglo-Iraqi Anne-Marie Follows Politics With Deep Interest And Has At Times, Like Most People, Found That Her Yoga, Heritage And Politics Can Sometimes Make For A Rocky Road. Imagine Though How Much Harder That Road Would Be Without Yoga As A Place To Rest Into And Out Of.